Monday morning was a beautiful windy, sunny day! The perfect day for a parade. That is exactly what hundreds of thousands of other Houstonians thought as they lined the streets of downtown Houston Monday morning for the 2012 Martin Luther King Grande Parade. 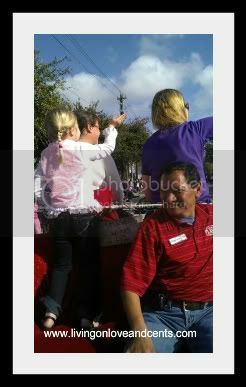 I was so excited that my daughter and I were invited to join the Chevy Houston team in the parade. For those of you who have not attended the Houston MLK parade you may be mistaken in thinking that it is only for certain races, backgrounds, religions, etc. But I want to tell you that is not true! The MLK Grande Parade was the most inspiring parade I have ever been to. There was such a variety of culture, races, religions, ages, music and more. 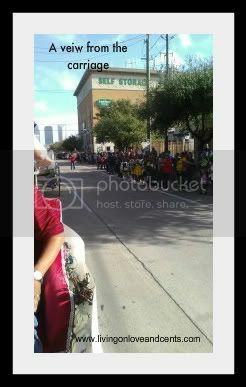 I was so proud to be a part of Houston Texas while riding through the parade. I soaked in all the diversity that this city holds as we rode down the streets lined in thousands of people. I am so proud that we live in a time and place where all of these different people can come together and celebrate the life of someone who helped make that possible. The Chevy team did a great job of representing this year. Many of the stars of the parade were riding in a Chevy. 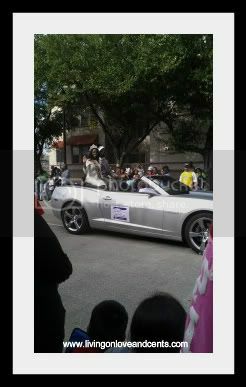 Lakesha Clark, Miss Prairie View A&M, rode in a beautiful silver Chevy! As for the Chevy team, we rode in horse drawn carriages. Again, this added to the diversity of the parade. 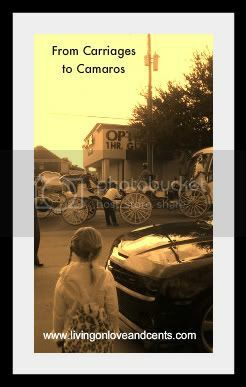 We had carriages that were hundreds of years old as well as brand new Chevys! It was a beautiful experience! I hope you will plan to attend next year! Celebrate the city and time that we live in today. You will be inspired as well! 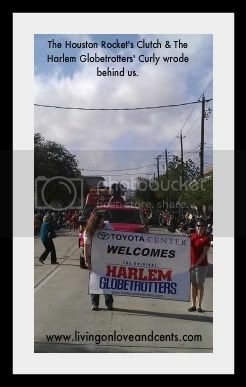 Thank you Gotta Love Chevy Houston for inviting us to participate in this parade. For more on the Chevy Girls check out the feature on Houston Culture Map. Craft Lovers Get Free Ideas, Patterns & Savings! Get Craftsy Today!